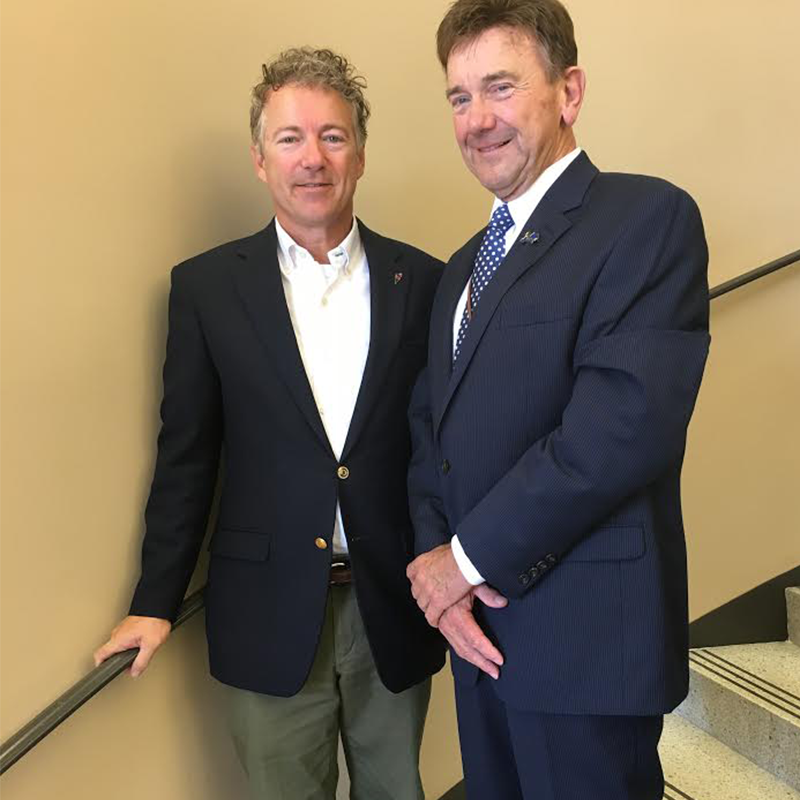 "My support for Rand Paul is rooted in principle, not party, because my top priority is doing what is best for my community..."
COLUMBIA, KY -- Today Adair County Judge Executive Michael Stephens, a Democrat, announced his endorsement of Dr. Rand Paul for U.S. Senate. "My support for Rand Paul is rooted in principle, not party, because my top priority is doing what is best for my community. Much like myself, Rand believes in reaching across the aisle to find common ground to address issues important to Kentuckians​. I'm proud to endorse him today and look forward to his continued representation of our community and the Commonwealth in the Senate," said Stephens. Dr. Paul thanked Judge Stephens for his support, and spoke about how important it is to reach across party lines to get things done. He referenced many of the important bipartisan bills on which he has partnered with Democrats in the Senate. These bill include: addressing the heroin epidemic with Sen. Markey, tackling criminal justice reform with Sen. Booker, fighting against sexual assault in the military with Sen. Gillibrand, and teaming up with Sen. Boxer to fund our bridges and roads, to name a few. "I've always believed in reaching across the aisle to get things done, and some of the most important bills and legislation I've introduced have been with my Democrat colleagues. I'm honored to have the support of Judge Stephens and the many folks here today in Columbia, and I hope to continue working on their behalf," said Dr. Paul.